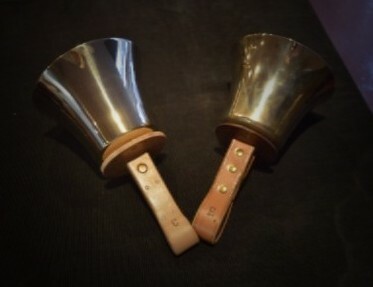 We are pleased to announce our first capital campaign for refurbishing our donated three-octave set of Whitechapel handbells. We are seeking a total of $9000 to buy cases, send the bells to the Whitechapel Foundry in England, and have them restored to their original glorious sound. YOU are invited to be a part of this exciting project by visiting the donation website, www.generosity.com, where you can learn more about the work, and make a secure, on-line donation. Of course, you are always welcome to mail a contribution to us at: BBR, PO Box 990828, Boston, MA 02199. If you look into the history of handbells in the US, you find yourself squarely at the door of the Nichols House in Beacon Hill and the work of Margaret Shurcliff, who brought the first set of Whitechapel Handells to the states and formed the first group of ringers doing a ‘holiday stroll’ through the streets of Beacon Hill, Boston. With your help, BBR can bring our set back to its lustre, and continue to promote excellence in handbell ringing in the Boston area and beyond. Click here to see our video and donate to our Whitechapel Refurbisment Campaign. 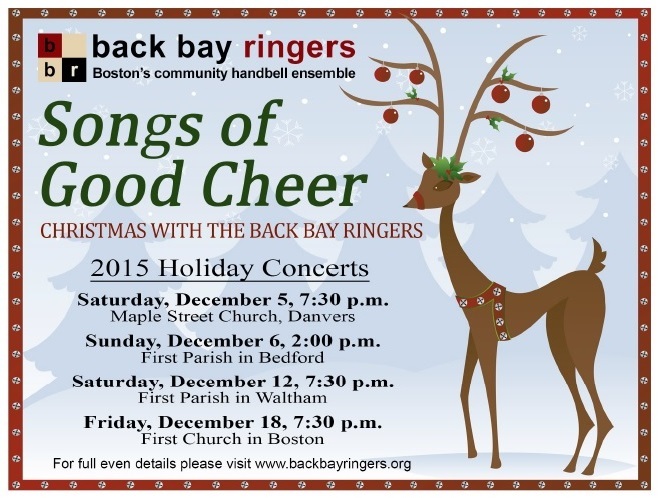 Tickets for our holiday concerts are still available! Click here to buy tickets.